New York is one of the most prominent and populous states in the US with an estimated population of over twenty million. The state is known to be the cultural, financial, and media capital of the world. New York is also one of the most important centers for international diplomacy. So what does it take to start or buy a business in New York? As a home for the most sophisticated business entrepreneurs to the largest corporations alike, what is the business climate of New York? The business climate of New York has been labeled as one of the most complicated. But you can’t help but wonder how large corporations still retain their status as yet a progressive company. How do ordinary residents live in New York even under the circumstances? What are the Setbacks in New York? For many reasons, there have been numerous negative feedback on the business climate of New York. The state is known to have the highest tax from individual income tax, unemployment insurance tax, to property taxes. Union Workforce is also among the highest in the Country. The union serves as the intermediary for the employee and the employer. It is also dedicated to protecting its member’s interest such as an improvement of their wages and working conditions. However, with a large labor union, it forces the hiring sector to hire union workers with a high salary rate but lower working hours. While New York might be a bit more difficult than other states, it’s for good reason. Other states are attempting to allure businesses while New York is one of the largest economies in the world (much larger than some country’s total GDP!). 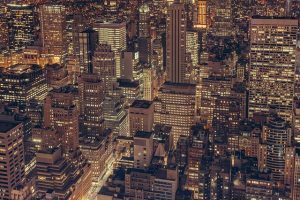 Doing your due-diligence in selling or buying a business in New York is paramount, but there is serious upsides as well. What Good is there in New York for you? New York is home to the largest companies in the United States. As such, it also offers numerous opportunities to anyone looking to move into the bustling state. On the plus side, New York has an industrial workforce with an economic pool of professional and educated laborers. The Empire State is also rich with cultural and recreational resources. New York prides itself as being the global hub of business and is home to 10 % of the largest companies in the United States. New York is a state that is run by people who are passionately driven. They utilize what resources the State has to give to their advantage. If you are set in moving to New York, what you need is to adjust to a competitive environment with a high cultural and economic standard and you should be able to prosper. Does Business Climate matter? Yes, it does. To start a business or move to a new place, is to have an in-depth study of its environment and use that knowledge to set a stepping stone for your envisioned goal. Another main advantage is the fact that if you want to buy a business in New York, it will most likely already have been established and profitable meaning the hard part was taken care of and with good management, implementation of new processes, etc. things could very well skyrocket.